Car hire from just £7 a day! 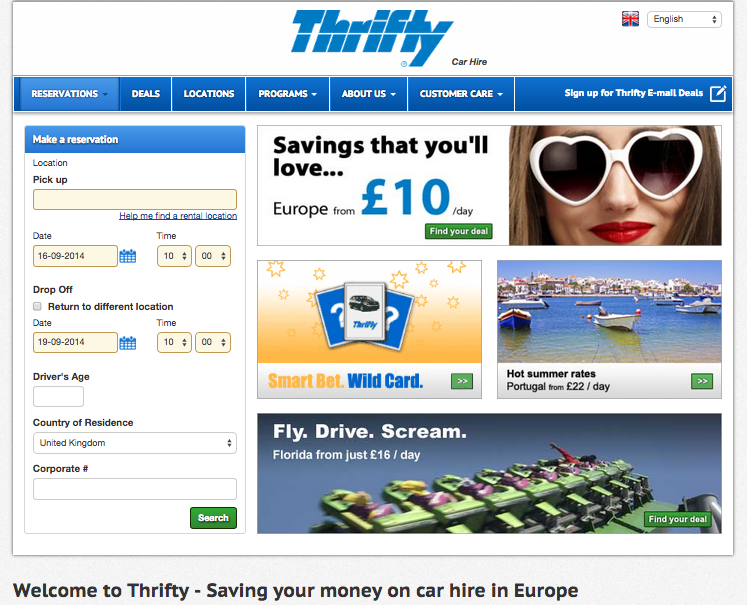 Thrifty Car Rental UK provides a reliable car rental service with a wide choice of pick up options. The prices aren’t too competitive and the choice of vehicles isn’t huge, however if all you’re looking for is a replacement vehicle for the weekend and you’re not too bothered on make and model, they should do just fine. Check out our Cheap Car Rental section to find all the best sites for savings on car rentals in London.